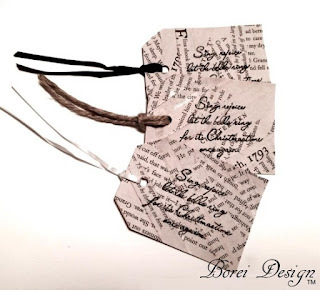 Today I've decided to share how to make super easy, upcycled, vintage-looking, book page gift tags. All you need is pages from a book, poster board-weight cardboard (such as a cereal box) and stamps, pens or any other desired embellishments. Here's how to do it. 1. Cut scrap poster board into desired shape for tag. 2. 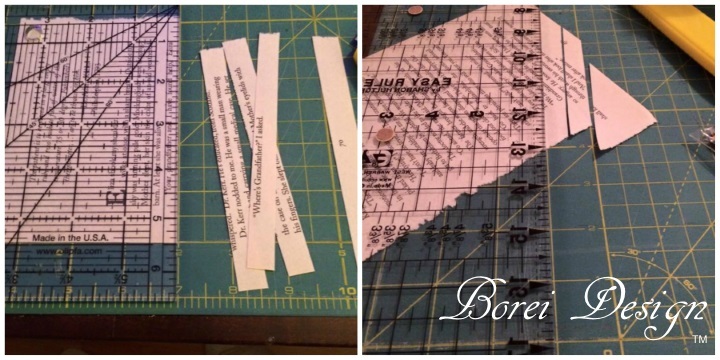 Cut 1/2 inch strips from book pages. I cut mine in several different directions using a ruler, cutting mat and utility knife. 3. 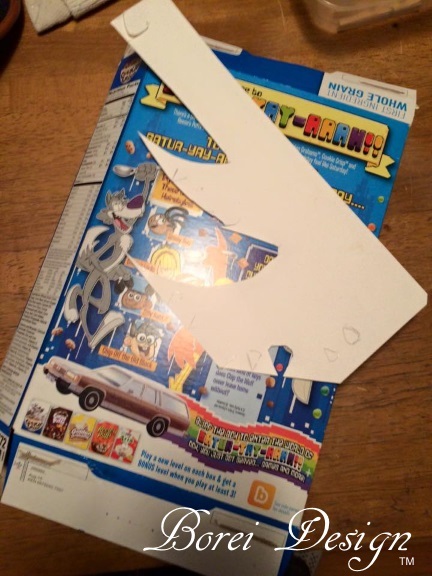 Glue strips side by side to the top of the tag by brushing on a thin layer of white glue with a sponge brush. Arrange the strips so that writing is flowing in various directions. 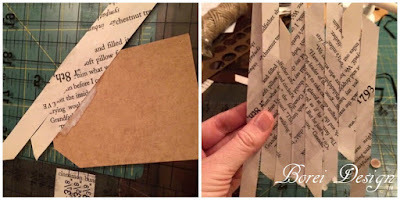 Allow to dry and strips even with edges of tag. 4. 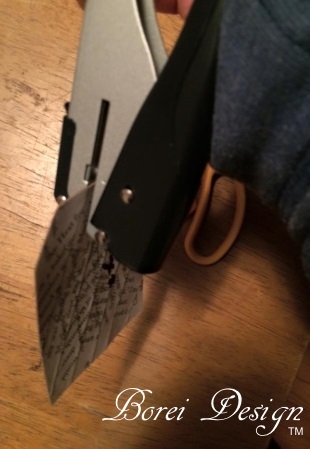 Hole punch at top and add a piece of twine or ribbon for attaching to gift. 5. 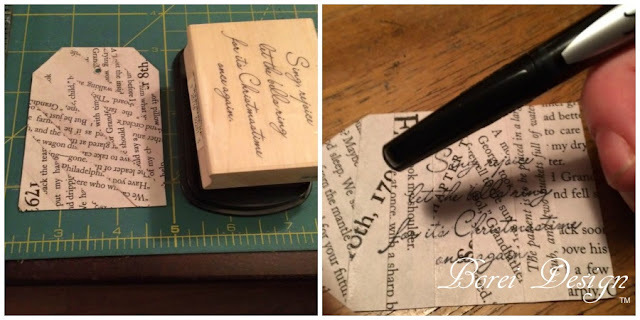 Decorate as desired using stamps, pens, markers or etc. Coat with Modge Podge to seal (if desired) and attach to gift. See! Couldn't be easier and they will make for a really unique touch to your gifts this Christmas. 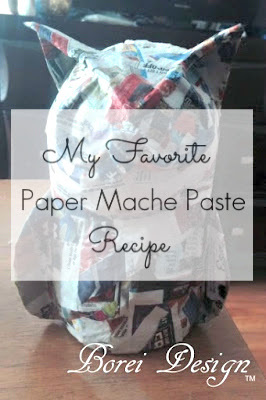 Interested in DIY Gift Bags to go along with your tags? Be sure to check out my post: A Gazillion and One Gift Bags for a Buck. To you and yours, have a God blessed and Merry Christmas from Borei Design. 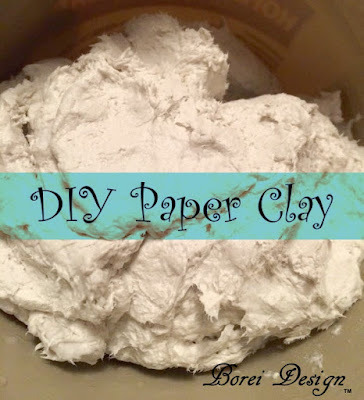 Great idea and so easy to make. 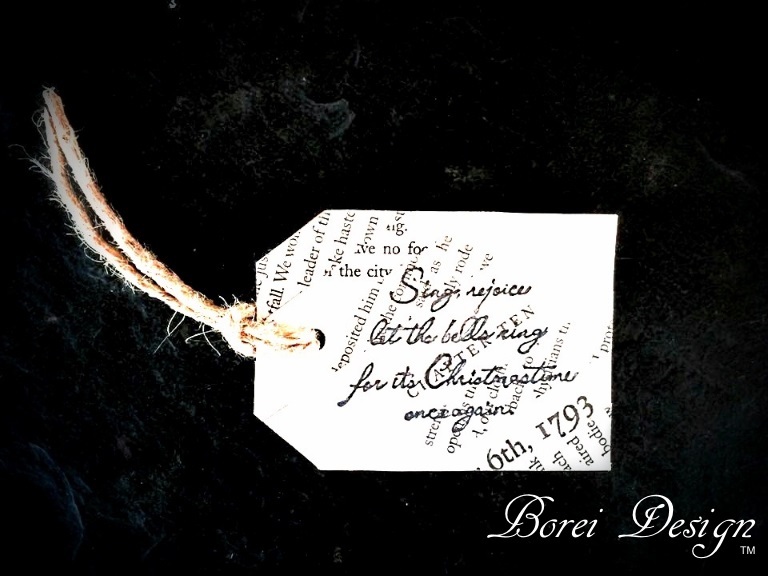 I love it and going to add this to my gift wrapping. Wow... these are the coolest designed tags I've yet to see! Love the vintage look they have!